The Radiological Society of North America (RSNA) is an international society of radiologists, medical physicists and other medical professionals with more than 54,000 members from 136 countries across the globe. 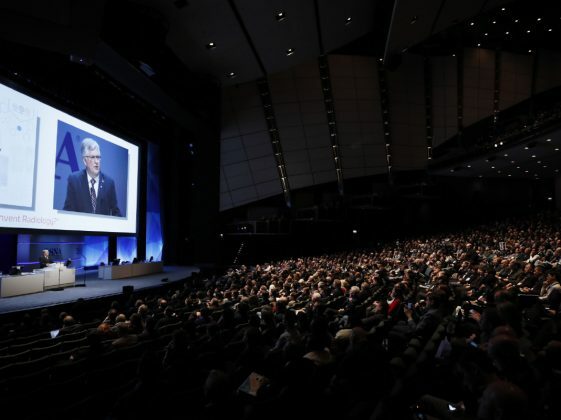 RSNA hosts the world’s premier radiology forum. 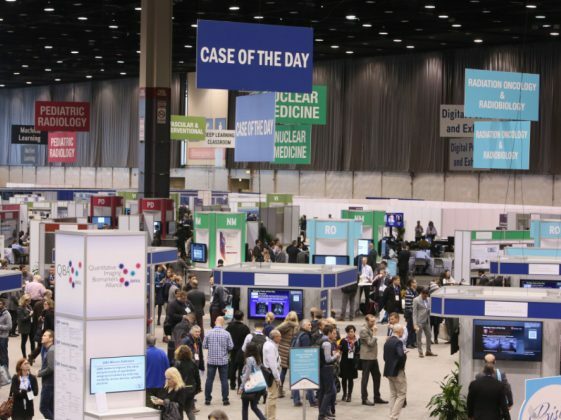 RSNA 2017, the 103rd Scientific Assembly and Annual Meeting, was held November 26-December 1 at McCormick Place in Chicago, Illinois. Official final statistics were not available at press time, but RSNA 2017 had a total advance registration of 48,445 and professional advance registration of 23,097. The 2017 technical exhibition consisted of 695 companies. 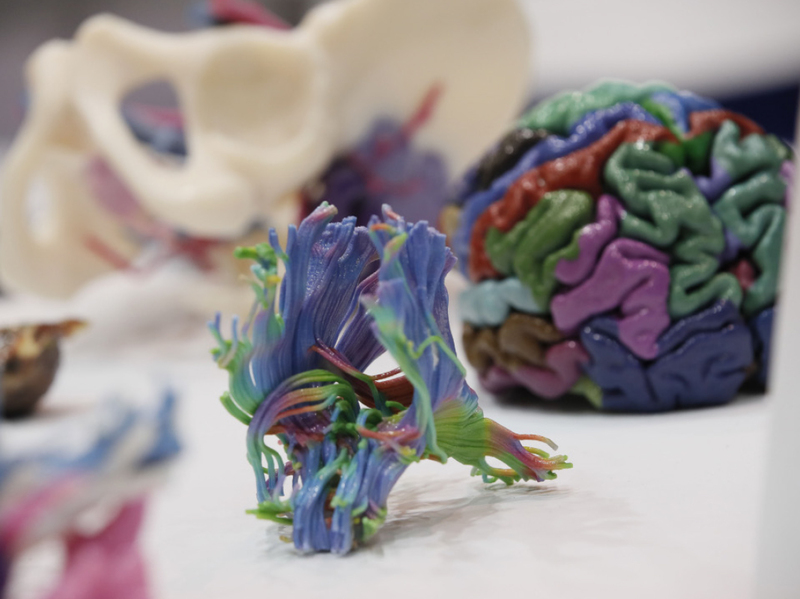 Watch ICE videos from RSNA trade show floor on the MD Publishing YouTube channel. 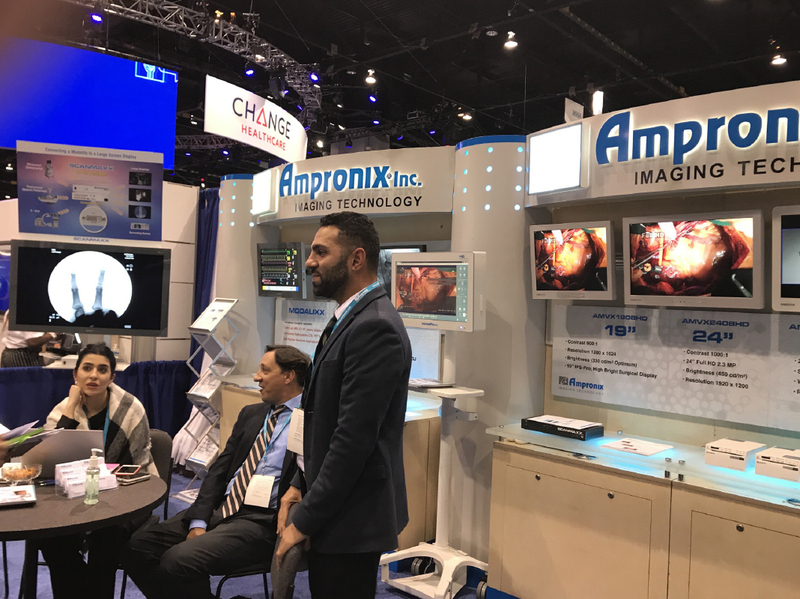 Members of the Ampronix staff welcome visitors to the company’s booth at RSNA 2017. 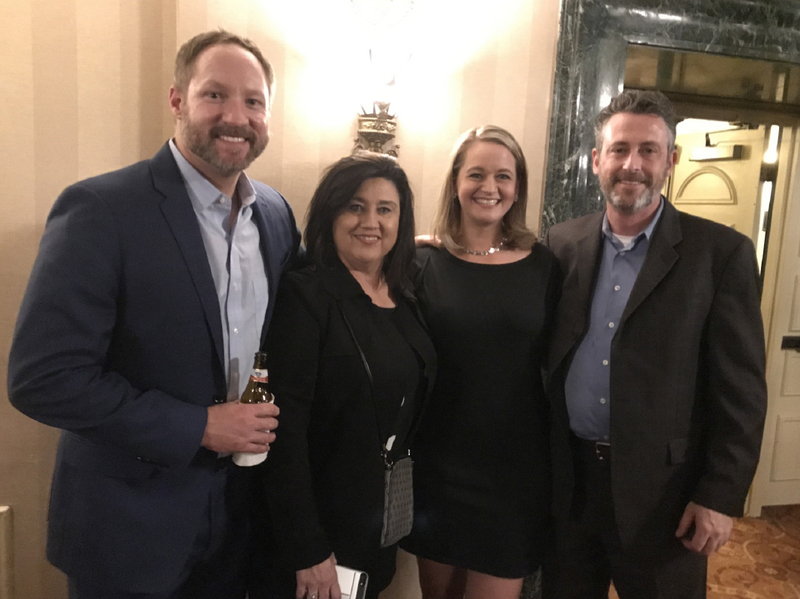 MD Publishing’s Jayme McKelvey, third from left, networks with TriImaging Solutions’ MIchael Tripp, Wanda Legate and Chris O’Toole at the IAMERS cocktail party. The latest technologies, including 3D printing, were on display at the annual event. The exhibit halls at RSNA 2017 were packed with imaging professionals from around the world. 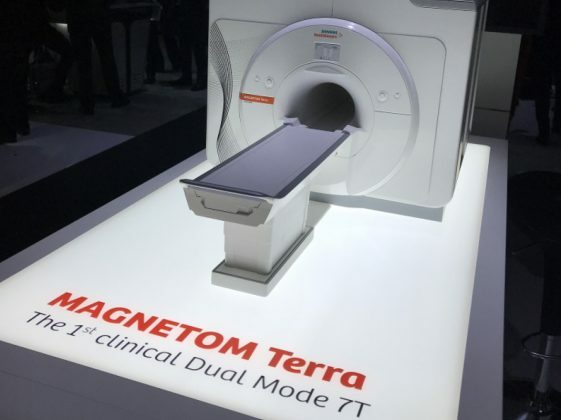 The Siemens Healthineers booth included the the MAGNETOM Terra – the first 7T MRI cleared for clinical imaging. 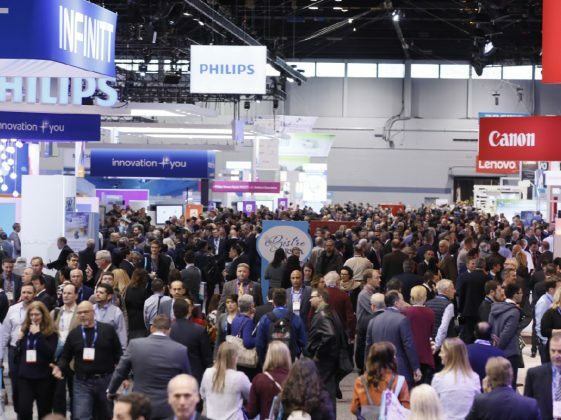 Attendees fill the grand concourse as they make their way to the exhibit hall and educational events. 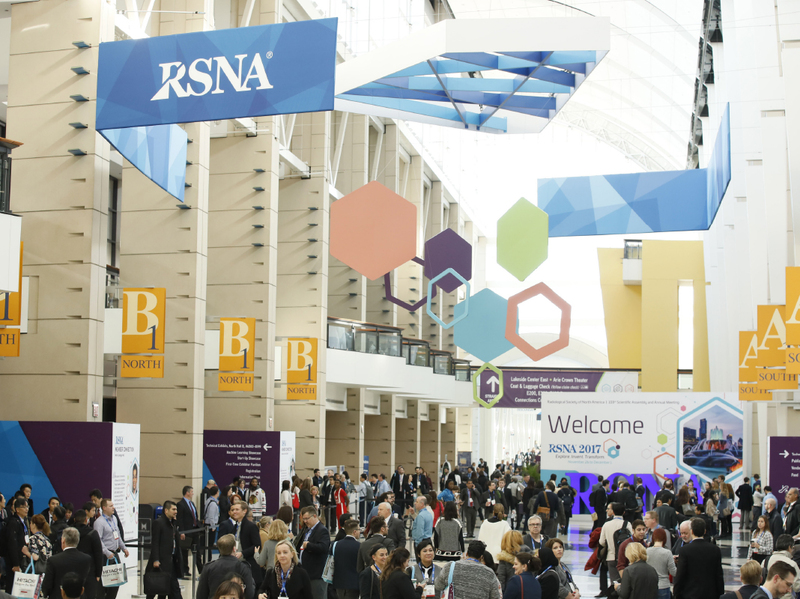 The learning center was a popular destination at RSNA 2017. 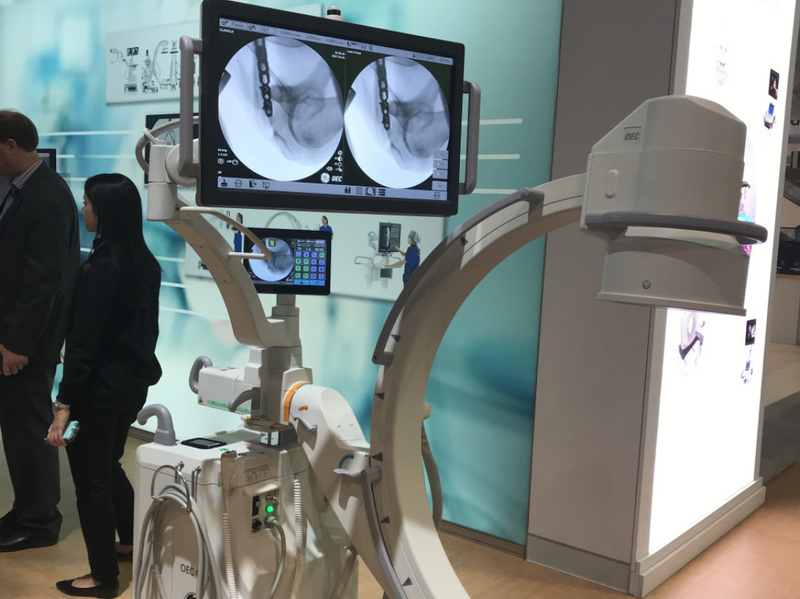 GE Healthcare offered impressive demonstrations of equipment in action. 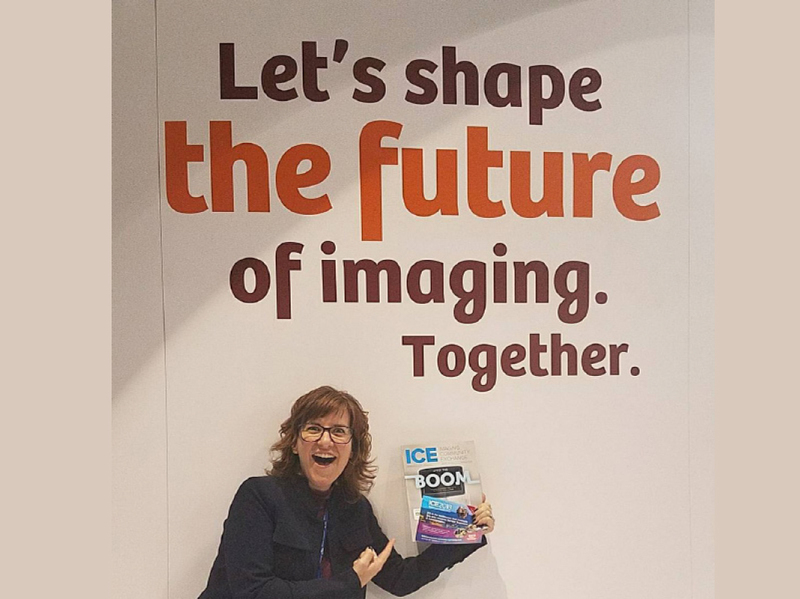 Jena Mattison, star of the ICE videos, is seen with a copy of ICE magazine at RSNA 2017. Watch Jena’s videos from RSNA on the MD Publishing YouTube channel at tiny.cc/MDPyoutube. The RSNA President’s Address was well attended. 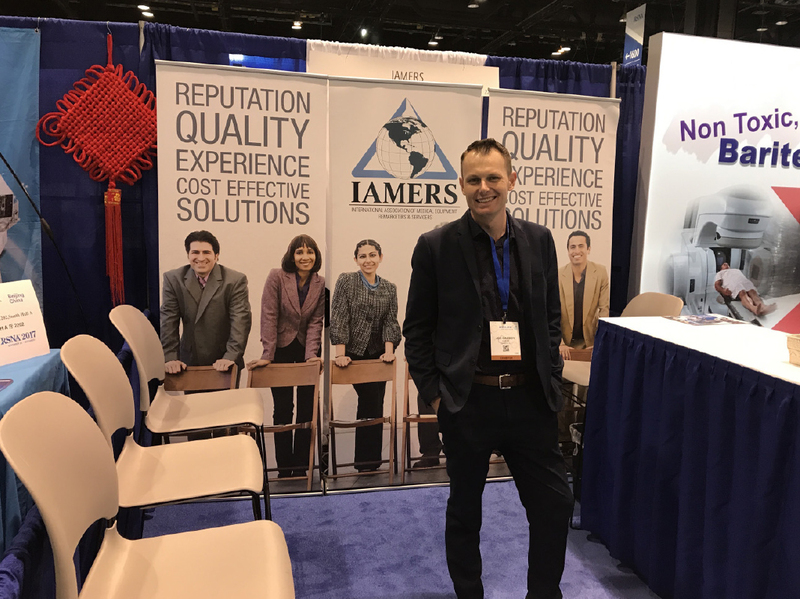 IAMERS’ Joe Cassidy is seen in the exhibit hall.